Hey guys! As promised I have one final BlogHer related post to share with you guys before I bury the subject and (thankfully) move on! This one, I think, you will find the MOST valuable. Today - I want to share with you the best tips and tricks I learned while at the conference. I will try to source as much as possible, but some things are a blur! I also can't promise I won't jump around a bit topically. I hope you learn something fantastic that you can use going forward!! Your VOICE is Uniquely Yours! Don't lose it! - And at the same time, be TRUE to it. Of course - first you may need to find your voice. I loved this reminder that was first given by Martha Stewart at her keynote, and then echoed through most every panel I attended. You have a voice - and maybe you're not sure of it just yet, but over time, you should be able to separate yourself and your voice from the voices around you. So, instead of seeing others doing great things and then mimicking or following along with their ideas, you'll begin to utilize your own creativity, talking style, etc. Let me give you an example of how to NOT use your own voice...in blogging someone will come up with a slang word or term, and then it will become viral in posts. I'm going to state the example of "Amazeballs" because, well, I HATE this term and its EVERYwhere. Do you say Amazeballs in public? While chatting with friends? While conversing with your family? If you do, then that would be a part of your true voice. If not - than you are not being true to your own voice. 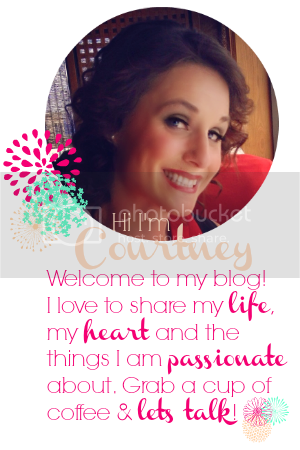 Be YOU on your blog. I'm gonna let you in on a little secret - the people who made Google, also made Google+. And they kinda love themselves, so um, Google+ is KIND OF A BIG DEAL when it comes to SEO. This means, for one, LEARN everything you can about how to optimize your presence on Google+. Then, +1 your posts, add a +1 button to your blog, give +1's to other people's articles you are trying to promote, etc. Google likes to keep the love in the Google family, so DON'T disregard Google+. You would be wise to learn a little bit about "H" Tags. These different levels of "headers" draw the attention of Google's algorithm, and can be the perfect place to put your key words. H2 tags, so HOT right now, so hot! Read these great SEO articles here, here and here to get up to speed. Also make sure to use your keyword tool and learn where to place them for optimum SEO. Then DO IT! Don't lose the heart of writing. Write from your heart. The biggest take-away I got from BlogHer 12 is the source of where I'll be going from here on out - and it is this: don't let the BUSINESS of blogging steal your purpose for blogging. If you started like me, dreaming of developing and mastering a writing talent - then don't lose sight of that. Define your goals for your blog, whether its making it a business, a book platform, a creative outlet - and then just GO FOR IT! If you want to read more of my BlogHer12 Experiences you can read my previous recaps here. This post was amazeballs.... Seriously, this is very helpful and thank you much for sharing with us. I can't wait to dive deeper into those links and learn more. These are great reminders. Especially the one about Google loving - well Google. +1 that.....SHIZZ? That's a word that I don't like. I never, ever, would say shizz. Or totes. But I do say man a lot man. Anyways - great post. Courtney! I'm so lost when it comes to all this SEO stuff and Google+...I'm glad you are here to help! oh shizz drives me crazy too!!! Such a great recap. Thanks for sharing the SEO info. Now to check out those articles. Ugh I NEED to start using google + so much more. Thanks for the reminder.